The next Human-Computer Confluence (HCC) Summer School will take place from 17 to 19 July in Paris, France. 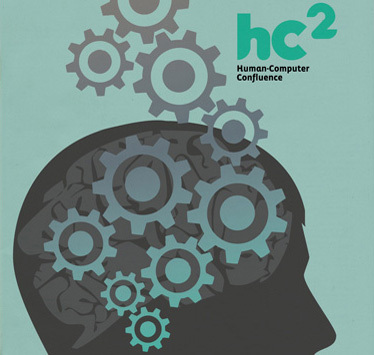 Human computer confluence (HCC) refers to an invisible, implicit, embodied or even implanted interaction between humans and system components. New classes of user interfaces may evolve that make use of several sensors and are able to adapt their physical properties to the current situational context of users. HCC originally emerged out of various European research initiatives aiming at fundamental and strategic research studying how the emerging symbiotic relation between humans and ICT (Information and Communication Technologies) can be based on radically new forms of sensing, perception, interaction and understanding. The HCC summer school invites participants to understand the various technological aspects of our symbiosis with ICT, but also the impact of this confluence on society. It aims to share scientific knowledge and experience among participants, enhance and stimulate interdisciplinary dialogue as well as provide further opportunities for co-operation within the study domains of Human Computer Confluence. The three-day summer school will include invited *lectures* by experts in the field, a *round-table discussion* and practical workshops. During the workshops, participants will engage in hands-on HCC group projects that they will present at the end of the summer school (please visit the website for the complete description of the workshops). number of scholarships to attendees that are not Paris residents. I am From Bangladesh, I would love to be a part of this but i happen to unaware about the fact. I really wish i was there.